Easy Homemade Meatballs are an amazing healthy staple to stash in your freezer! They whip up into quick meals, be it glazed in your crockpot or as an easy meatball bake. 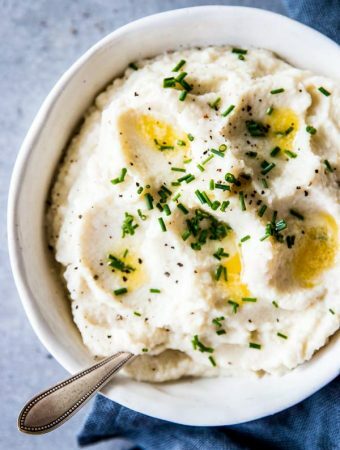 This recipe is Trim Healthy Mama friendly (THM S and THM E, depending on the meat you’re using), low carb and offers grain free options, too! Do you love meatballs? Because wow, do I love meatballs (and meatloaf :D). They go with so many things: Tomato sauce. A glaze. A creamy sauce (a mushroom sauce! 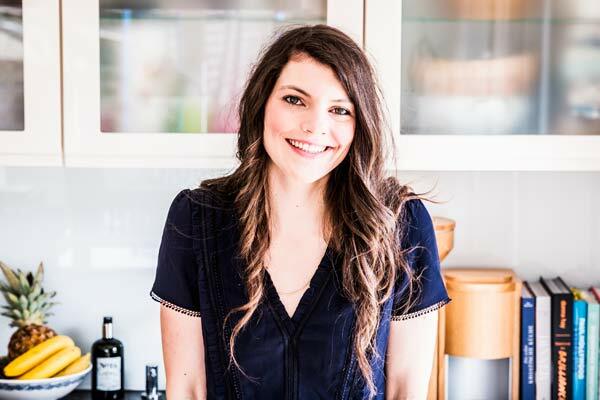 putting on my list for recipes to make for the blog!). Both my kids break into happy dances when I tell them we’re having meatballs. I’m raising them well, ha! But I don’t love what’s in frozen meatballs you can get ready-made. So many fillers, flavors and additives… It’s not worth it, because making your own healthy ones is SO simple! I know, making your own meatballs can seem like a daunting task if you’re not used to cooking from scratch. But it’s quick, easy, and you will not regret the time you’re putting into these! 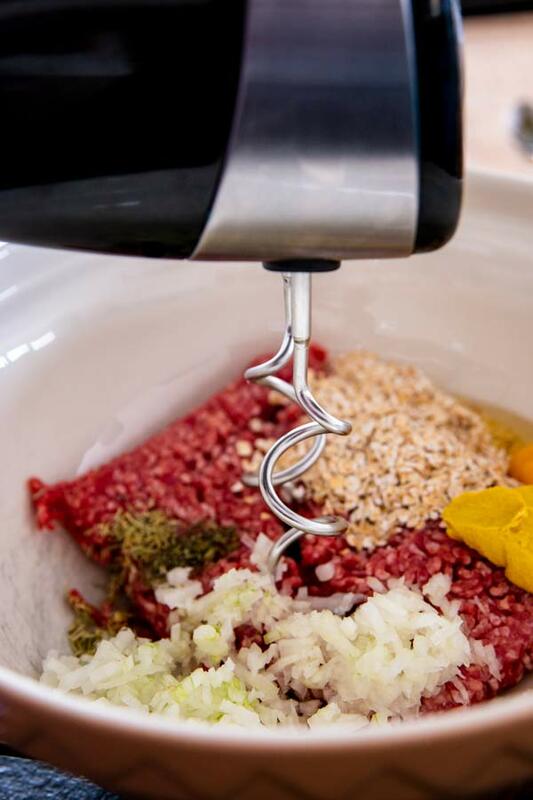 you can use whatever meat you like – pork, beef, turkey, ground sausage… Or a mix! make a large batch and freeze them – so convenient! Meatballs are very forgiving. 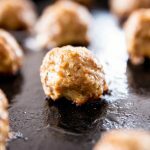 Just today I made meatballs with no egg, no binder… And they turned out SO good. Like I mentioned, you can use a variety here. All beef, all pork or all turkey work very well and pretty much interchangeably. 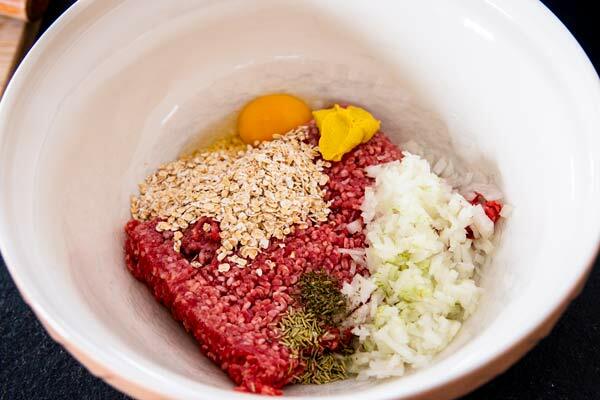 A mix of beef and pork is also delicious, and so is a mix of ground sausage and beef. 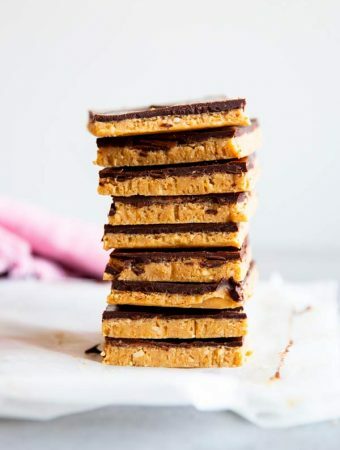 I like adding a few tablespoons of oats just to bulk them up and add a little fiber. But if you’re grain free, you can absolutely leave them out. Instead you can add veggies like shredded and squeezed zucchini, or defrosted chopped spinach with all the excess water squeezed out. About 1/2 cup per pound of meat. Again, it’s not crucial to add egg to meatballs – the proteins from the meat bind enough as-is. So if you or someone in your family has an egg allergy, you don’t need it. To add the bulk from the egg and help the meatballs stay firm, I like to add 1/4 cup of sour cream PLUS 1 teaspoon of either psyllium husk, ground chia or ground flax. I stopped mixing ground meat for meatballs by hand a looong time ago. Use your mixer, baby! For smaller batches I use my hand mixer, for large batches my stand mixer. I haven’t quite decided yet if I like the paddle or the dough hook better… Let me know what you prefer! 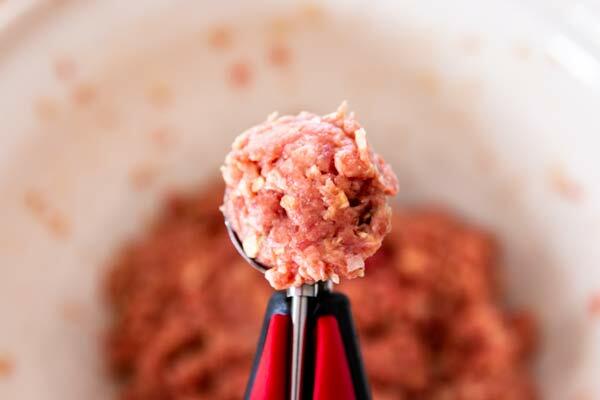 I love using a cookie scoop to portion out meatballs – no more guessing if they’re all about the same size. It makes it quick and easy to portion and shape the meat. Anything that makes me work faster in the kitchen is a win to me! 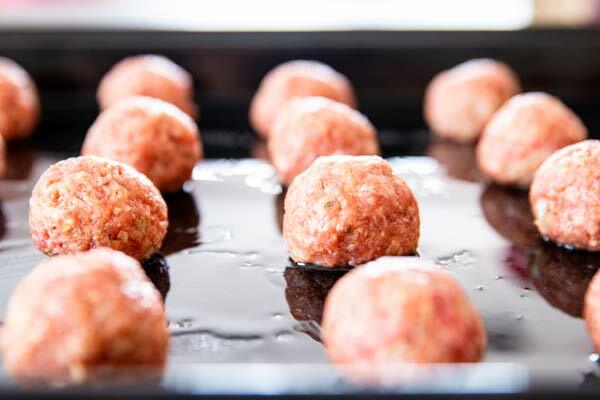 to reheat, place the frozen raw meatballs on a lightly greased baking sheet and bake for 20-25 minutes, or until cooked hot all the way through. 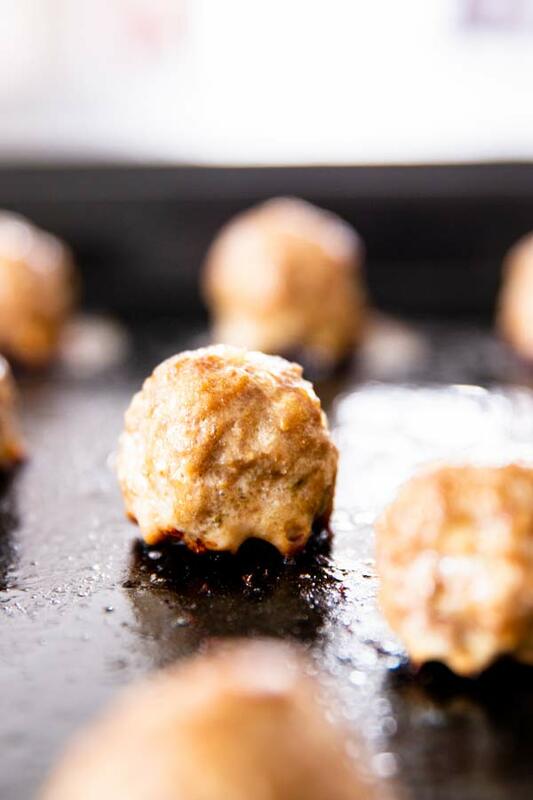 frozen cooked meatballs can be added straight to a sauce to reheat until piping hot all the way through. 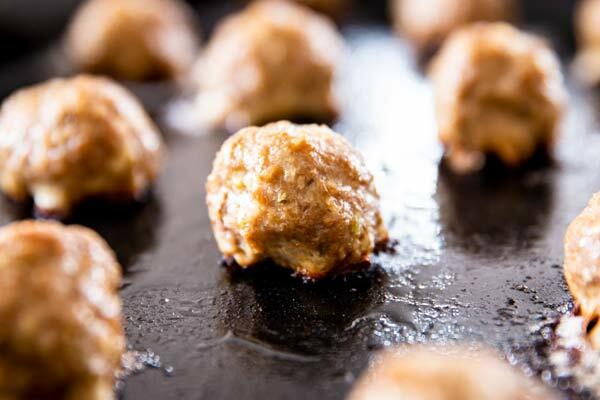 What can you serve with meatballs to make a healthy meal? There are so many ways you can have meatballs! Preheat the oven to 430°F (if cooking the meatballs right away). Lightly grease a baking sheet. Place all ingredients in a large bowl and mix well (I use an electric mixer with dough hook attachments). Scoop 1-2 teaspoons of meat at a time and shape into meatballs. Place on the baking sheet. Either flash freeze until firm for 1-2 hours before bagging to freeze up to 3 months, or bake for 12-15 minutes in the preheated oven until cooked through. To make grain free: Leave out the oats. 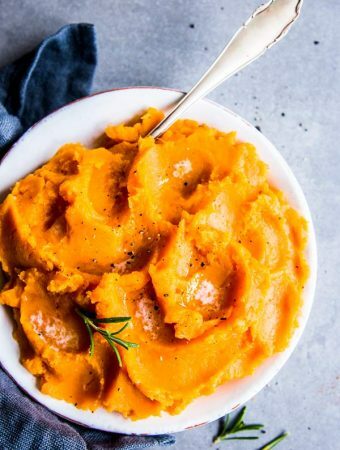 To add bulk and fiber, you can add 1/2 cup shredded and squeezed zucchini OR 1/2 cup defrosted chopped spinach (excess water squeezed VERY well). To make egg-free: Leave out the eggs. Add 1/4 cup sour cream PLUS 1 teaspoon psyllium husk, OR ground chia, OR ground flax.